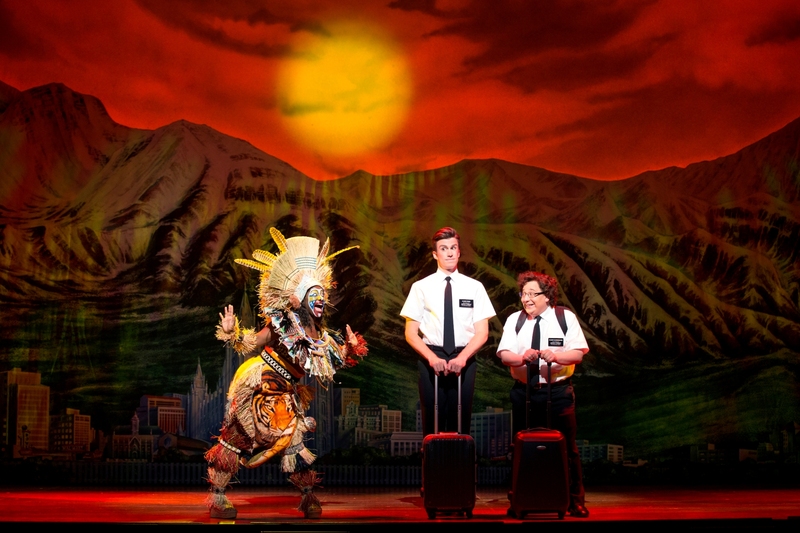 THE BOOK OF MORMON is rated 4.6 out of 5 by 11. Rated 4 out of 5 by CliveP from Not really my cup of tea but I did laugh. The cast put a lot of effort in giving a good show and expended a lot of energy. In 2 acts lasting an hour each. Some doubling up and several costume changes. Some humour un PC but as it was targeted at almost everyone it did get a lot of laughs. Was sell out on the night. If I was just going to one musical probably would not recommend but if you are visiting several this is well worth including. Think written by same people that did South Park as is just as zanny. Rated 5 out of 5 by Aggers1 from The Book of Mormon Absolutely brilliant! The funniest thing I’ve seen in years. The cast were amazing. Excellent comedy timing and outstanding voices. Rated 5 out of 5 by COS2378 from Amazing show. Side splitingly funny. What a show. We laughed from start to finish. Lovely theartre and great seats. This is one of the best shows I have ever seen. Highly talented and hard working cast. Please do not miss this. Rated 5 out of 5 by SarahBott from The best show we've ever seen! From the opening scene to the closing one we didn't stop smiling. It was hands down one of the funniest things we've seen. Absolutely brilliant. We want to watch it again! Please bring it out on DVD!!!!! Rated 5 out of 5 by Hannahm122 from Hillarious, I didn't stop laughing Just what the doctor ordered! Inappropriate jokes, non-stop laughter and so much smiling! Everything about this was perfect, the music, the set and the brilliant actors! Rated 5 out of 5 by Savlin from Hilarious show Thogroughly enjoyed this show,laughed from beginning to end. Rated 5 out of 5 by Andy sugar and pandy from Very different and not what I expected. If you have a dark sense of humour, this show is for you. Must see.